HPSO offers lectures by well-known authorities or authors in the field of horticulture. Every year we offer a Winter Program, a Fall Program, and a Spring Program. There is often a Summer Program depending on whether a featured speaker is available or whether HPSO is hosting the Study Weekend. In addition, there may also be one or two special programs, when the opportunity arises to have a great speaker who may be coming to Portland. Often, the Speaker Programs will feature more than one speaker. The focus is on garden design, a famous garden, or a well-known garden "personality". Each event usually features a botanical display with items from members' gardens, and books and seeds are often offered for sale. 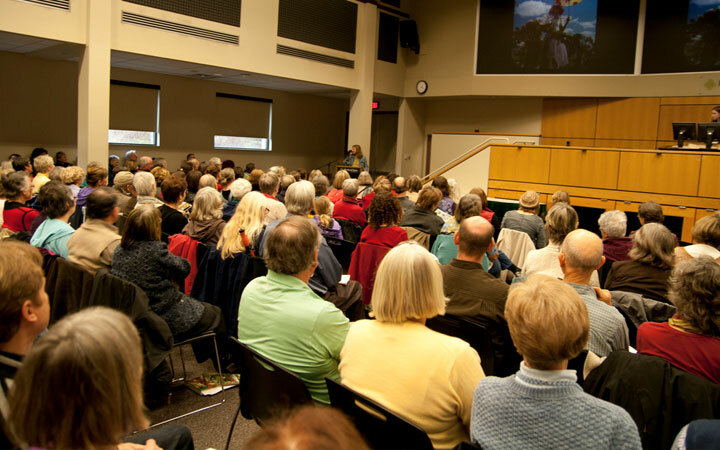 Speaker Programs have an admission fee and are usually open to the public, but members get discounts and have the opportunity to sign up before the public is notified of the program. Usually, 300-400 people attend.